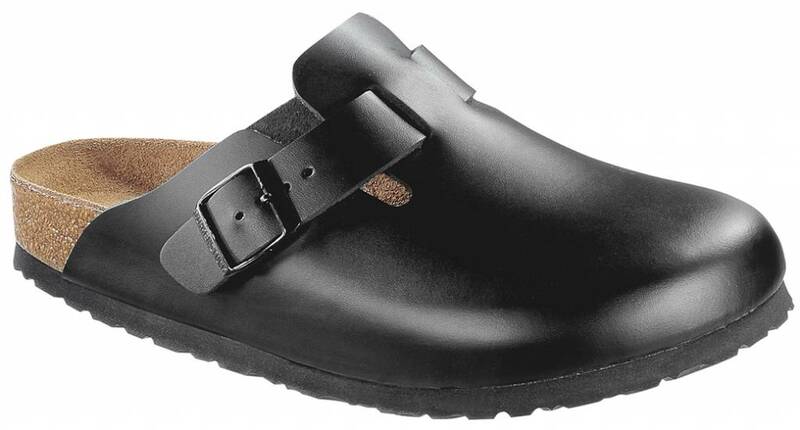 The Birkenstock Boston with soft foot bed is a sturdy mule made from black leather. The leather upper gives this mule a robust look and is comfortably warm. Above the instep a strap is attached to adjust the mule to your foot. 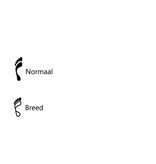 The Birkenstock Boston comes with the anatomically shaped foot bed with deep heel indentation and toe grip and is covered with a suede top layer. Beneath that you will find the extra layer of cork-latex that gives this mule its soft foot bed. 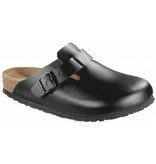 The Birkenstock Boston black leather soft foot bed is available in the width ‘broad and normal’.